Why does it seem like Europeans do everything better? Well, we may never know, but the fact is, they do, and we’re never not taking notes. 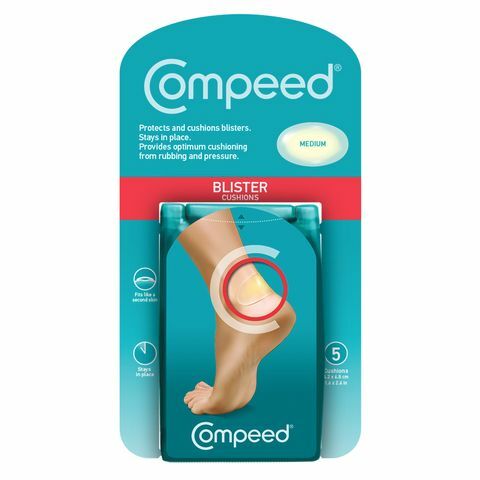 Our friends at InStyle have discovered their latest achievement: Compeed’s blister-blocking stickers that work like a charm, according to author Dianna Mazzone, who tried them out herself. Never before sold in the U.S., these magical cushions will finally be available stateside next month at Walgreens, and you can order them online for now. Complete with various sizes for all your different problem areas, the circular cushions are made of breathable material to fend off moisture and germs, and will stay on for days, if need be. Sandal weather may be coming to a close, but blisters unfortunately transcend the seasons for us ladies with a penchant for less-cosy footwear. So, to make your fashion choices a little less painful, we highly suggest stocking up! Scroll down to shop these game-changing blister blockers! Do you have any tips for avoiding blisters? Share with us in the comments!